ElectricScooterParts.com is an employee owned company. Half of our full time employees own stock in the company. We believe that if people own the business they work for they will take much better care of it than if they were just hired help. ElectricScooterParts.com was founded in 2002 with the simple idea that people will need parts for their new electric scooters. Back then electric scooters were a new consumer product that most people had never heard of or seen before. Specialize in exclusively selling electric scooter and bike parts. Offer a large and expanding selection of electric scooter and bike parts. Maintain an easy to navigate and well organized online parts store. Provide excellent customer service both before and after the sale. Sell the highest quality electric scooter and bike parts available. ElectricScooterParts.com exclusively sells electric scooter and bike parts. We would probably have a lot more business if we also sold gas scooter parts like the other parts stores do however we believe that electric powered scooters are quieter and less polluting than gas powered scooters so we choose not to sell parts for them. Alex founded ElectricScooterParts.com back in 2002. Alex is our website's designer, webmaster, product photographer, technical writer, and system administrator. Alex has worked for ElectricScooterParts.com for over 17 years. Jon is our customer service manager and senior customer service representative. Jon has worked for ElectricScooterParts.com for over 14 years. Pranee is our general manager, parts sourcing manager, and parts buyer. Pranee has worked for ElectricScooterParts.com for over 11 years. Pani is our shipping and receiving manager. Pani has worked for ElectricScooterParts.com for over 7 years. Levi is our bench technician, kit technician, and customer service representative. Levi has worked for ElectricScooterParts.com for over 4 year. Andrew is our shipper, receiver, and customer service representative. Andrew has worked for ElectricScooterParts.com for over 4 year. Kalei is our shipper and receiver. Kalei's job duties include pulling parts for orders, packaging orders, and shipping orders. Kalei has worked for ElectricScooterParts.com for over 4 year. 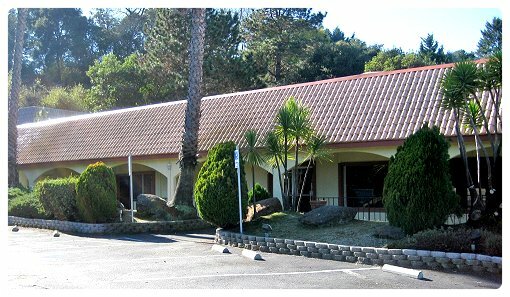 We are located at 59 Mount Hermon Road in Scotts Valley, California.